The smaller, niftier Google Pixel 3 beats out the Pixel 3 XL on our recommendation list. It retains the performance and camera of the larger Pixel and does so without the unsightly notch – through the front-facing speakers mean that it still carries a large chin, and the top bezel stretches across the width of the phone. It definitely isn’t as pretty as other phones, but its AI functions and stock Android make up for what it lacks on the outside. In addition, at $999, it’s more affordable than the Pixel 3 XL. While the Pixel 3 XL performed well in our review, the smaller Pixel 3 is more practical for several reasons. The Google Pixel 3 XL features a larger 6.2” display, but a chunk of that is taken up by an incredibly tall notch – something the Pixel 3 omits. If I had to pick between a thick bezel or a notch, I’d take a flush top bezel any day. And because it’s both shorter and narrower than the Pixel 3 XL, you don’t have to perform finger yoga to swipe type on the keyboard. Reaching for the top of the phone is also less arduous than the Pixel 3 XL, and it fits in your pocket a little better, too. 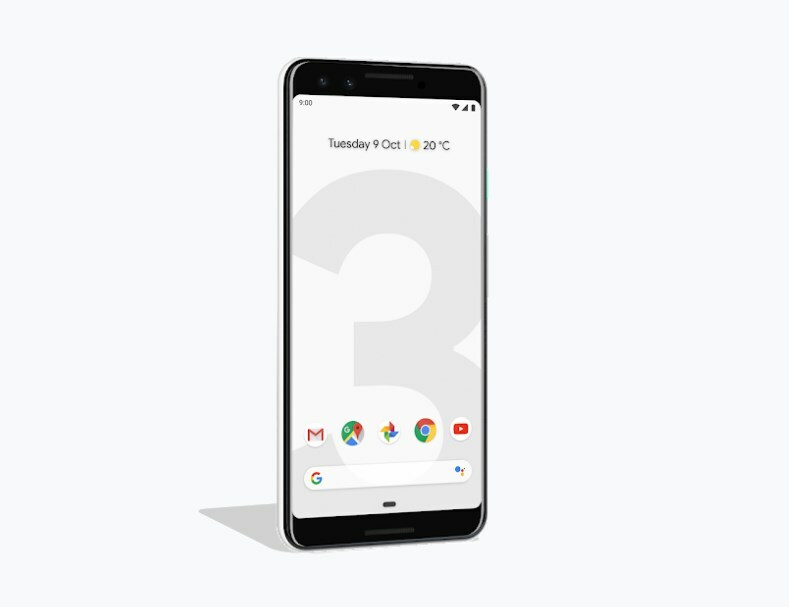 Despite its smaller size, the Pixel 3 features the same hardware as the Pixel 3 XL. Like most flagship smartphones, the Pixel 3 is configured with a Qualcomm Snapdragon 845 processor, but only starts with 4GB of RAM and 64GB of storage. The 4GB of RAM seems a bit famished compared to other flagship phones, but I’ve never encountered any issues with it during my week with the Pixel 3 XL, which also had 4GB of RAM. The Pixel 2 phones had the best camera last year, and the Pixel 3 further improves upon its success. While its lens and sensor are fantastic, the true magic lies within its AI capabilities. Google’s Pixel Engine image processor helps to create stellar photos. Our favorite feature by far is Night Sight, a low light shooting mode that analyzes objects in scenes and correctly exposes for them individually. Time and time again, we’ve seen great hardware bogged down by sluggish software. Google – the creators of the Android operating system – blesses the Pixel with the silky stock Android. Free of embellishments, Stock Android runs like a dream. 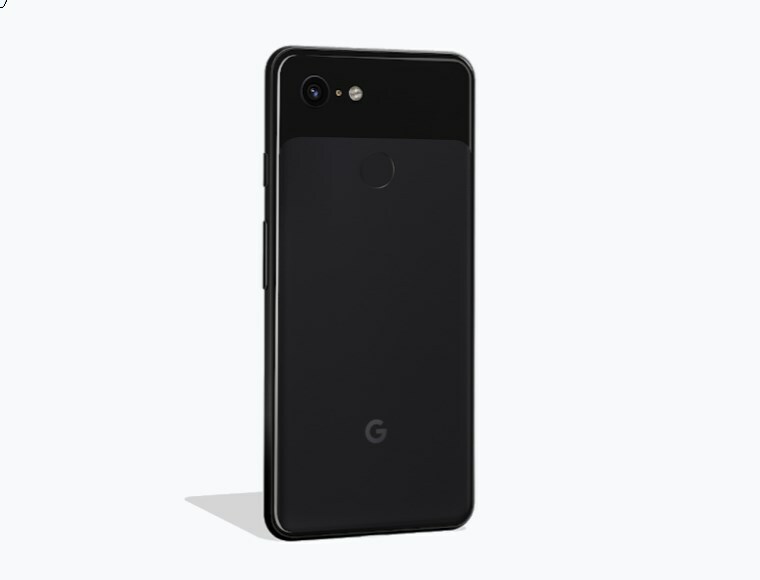 Being a first-party device, Google also vows to support the Pixel 3 for at least three years and delivers security patches to them first. Battery life depends on the battery size, but it’s not the only determiner. The Pixel 3 uses a 2,915 mAh battery – average by today’s flagship phone standards. 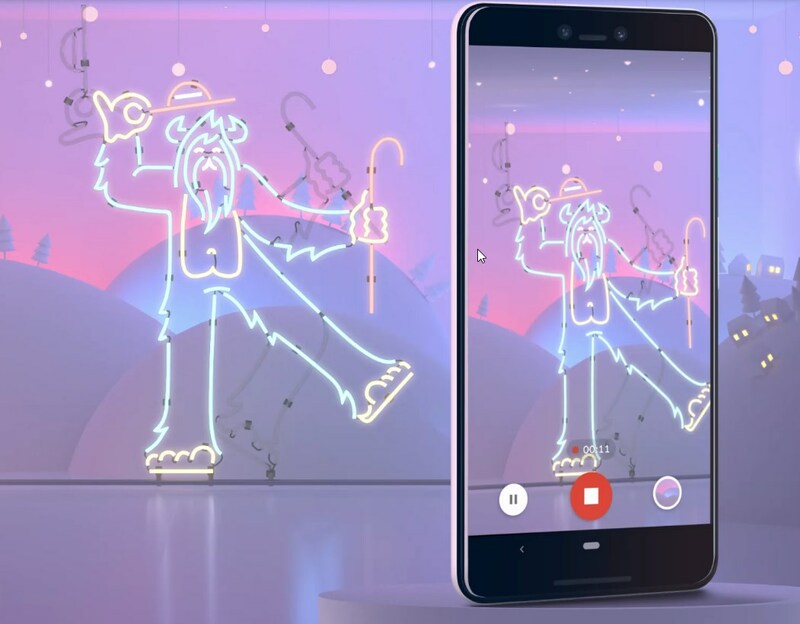 But since the Pixel 3’s has an OLED display, it can dim or turn off its back light when displaying darker scenes to help increases battery efficiency. Additionally, Android 9 Pie comes with a slew of power enhancements like Adaptive Battery, which limits the wake timer and refresh rate of infrequently used apps. The Pixel 3 carries flagship specs, features, and therefore a flagship price. Starting at $999, its price is in parity with another compelling offer: the Samsung Galaxy S9. Both are excellent phones, but I do enjoy the stock Android experience and AI features on the Pixel a bit more. It also runs against the OnePlus 6T (our honorable mention at the 6th spot) which features 6GB of RAM, 128GB of storage, and a larger battery, but lacks the IP68 rating, wireless charging, and carries a worse camera.